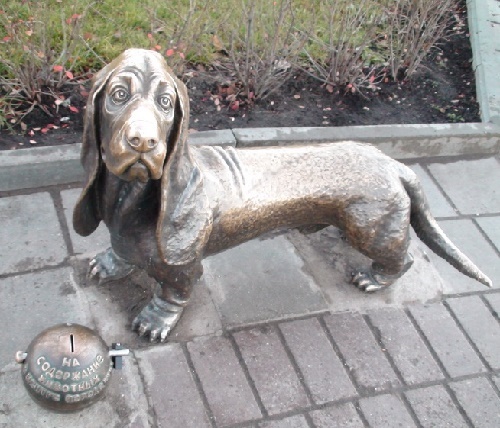 In a large Siberian city of Kemerovo, on Pritomsky Quay in 2008 appeared a sculpture “Dog”. 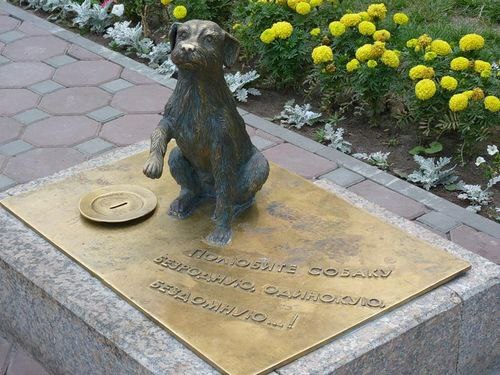 Homeless dog rescuing from the cold on the manhole cover – many of us, every winter, unfortunately, can see a similar picture. 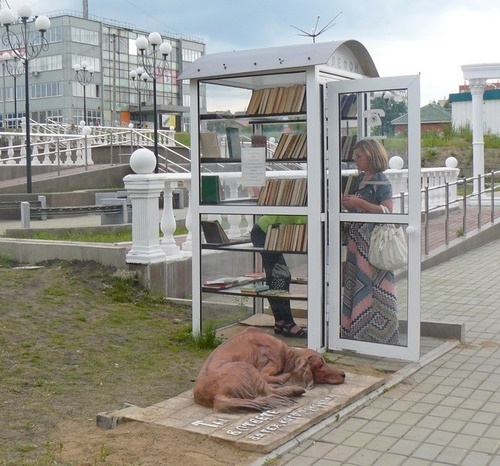 Author of the composition – a member of the Russian Artists’ Union Valery Treska. 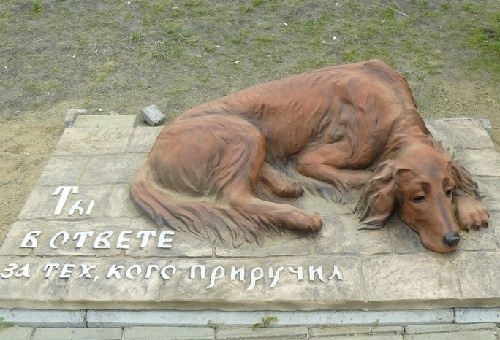 According to him, from the first sketches to the embodiment of the conceived image it was not long since he had long had the idea of ​​creating a sculpture of ordinary stray dog. 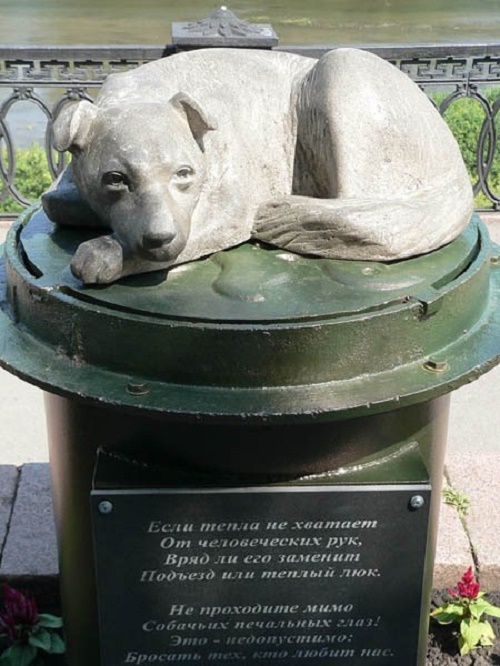 The monument consists of two parts: a metal base, which depicts a manhole cover, and the hungry stray dog ​​figure out of stone, sticking to the hot surface of the hatch. Throw those who love us.